Minister for Water Resources, Mr. P.J. Joseph said that the current water level in the dam should be lowered as the dam is in critical stage. "There is no solution other than a new dam. This is a serious issue. After July 26, there were more than 20 earth quakes...And it is warned that there would be more. There is no more waiting", Mr.Joseph said in a press meet held in Trivandrum. 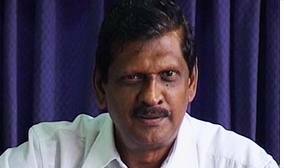 0 Response to "Mullaperiyar Dam in critical Stage: Minister P.J. Joseph"